Shaping future generations, we are highly immersed in designing Childcare Facilities. Beautiful, engaging, and healthy spaces for children, we understand that these projects need to be pragmatic, sensitive and cost-effective. Accessible & Safe - Ease of circulation in childcare facilities are critical. It is important to design the circulation in a way to prevent direct access—from the outside—to the childcare areas. It is also essential to consider the flow, motion and fluidity of circulation in the spaces by both the children and their caretakers carefully during the design process. 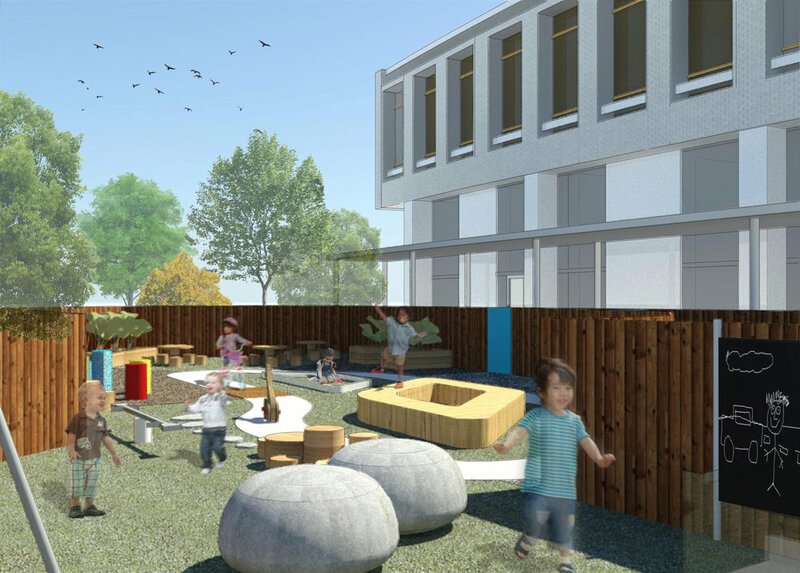 Functional & Operational - In conjunction with considering the educators, we often try to design spaces with a sensitivity to children's scale, including how they will use the space, what they will see, and what kind of experience they will have. Healthy & Sustainable - We provide ample natural light in all spaces where children will spend time, especially the classrooms. Moreover, we try to minimize the energy utilization through systems design, offering the users a healthy, yet efficient quality of air. Equipment, furnishings, and finishes must be non-toxic and not contain asbestos, lead, or other VOCs. Inspiring & Playful - Indoor spaces need to accommodate for the new, emerging educational programs and play equipment to enrich creativity in the children and ensure a pleasant experience. Outdoor spaces may include play yard space, including fencing, canopy, sidewalk, ground cover, drainage, shade devices, play structures, and vegetation planting.